We spent two nights camping on Lake Two. This year even the more popular routes have available campsites. We didn’t see any other campers on Lake Two the first night. 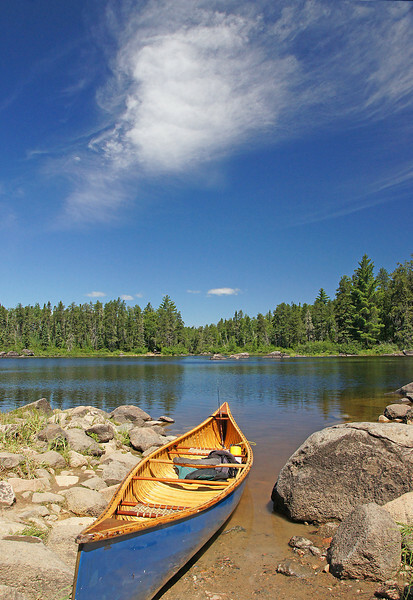 The BWCAW is one of my favorite wilderness areas. 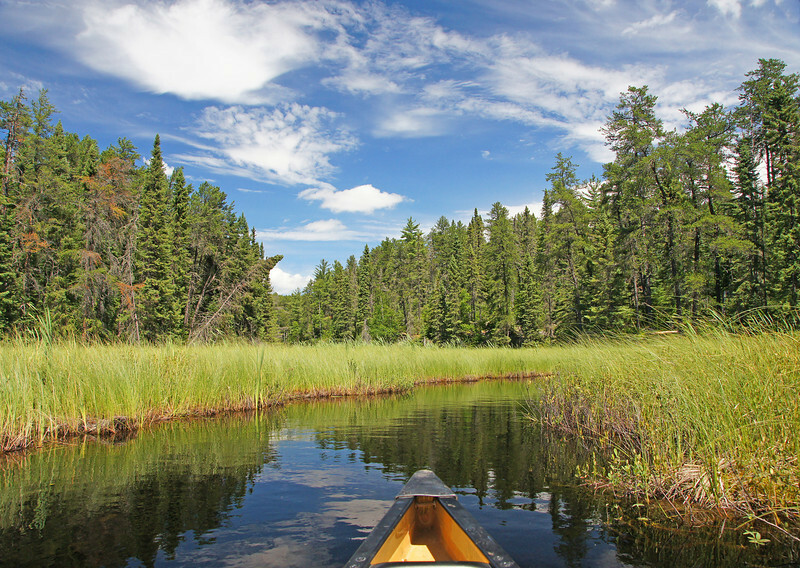 Most of the BWCAW is canoe only so the sounds of civilization are gone and everything is at a slower pace. 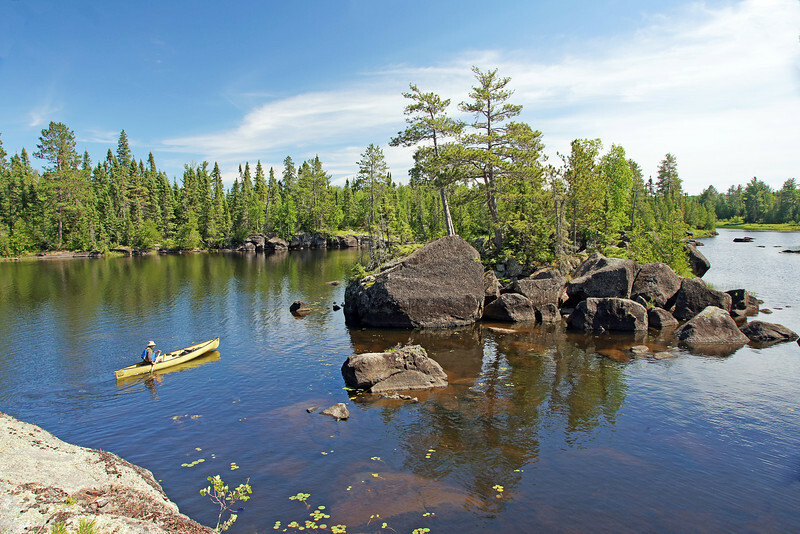 The water is clean and clear and the shoreline varies from sand beaches to rugged rock outcroppings. All of which makes for great photos. We followed two different channels through the bog on our way to and from Rock Island Lake. We planned our trip to coincide with the full moon but clouds got in the way and let the moon show through for only a short period of time. 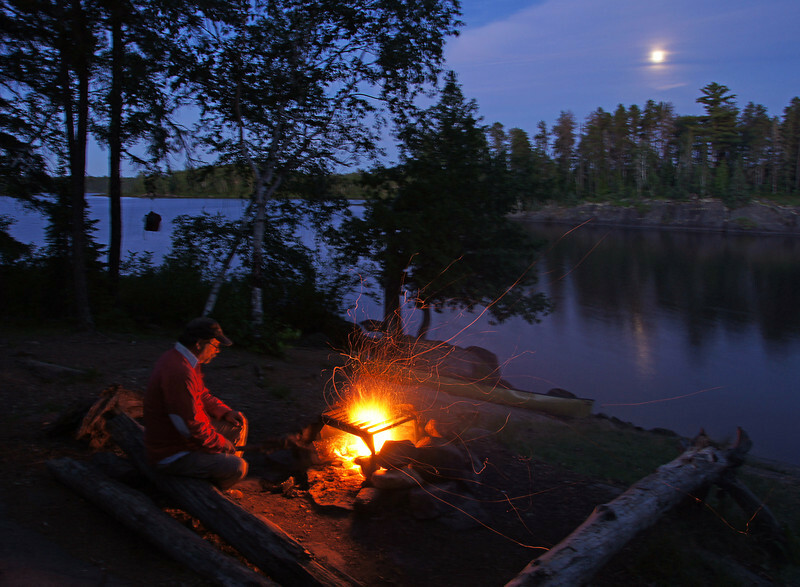 We sat around the campfire for hours listening to the loons. 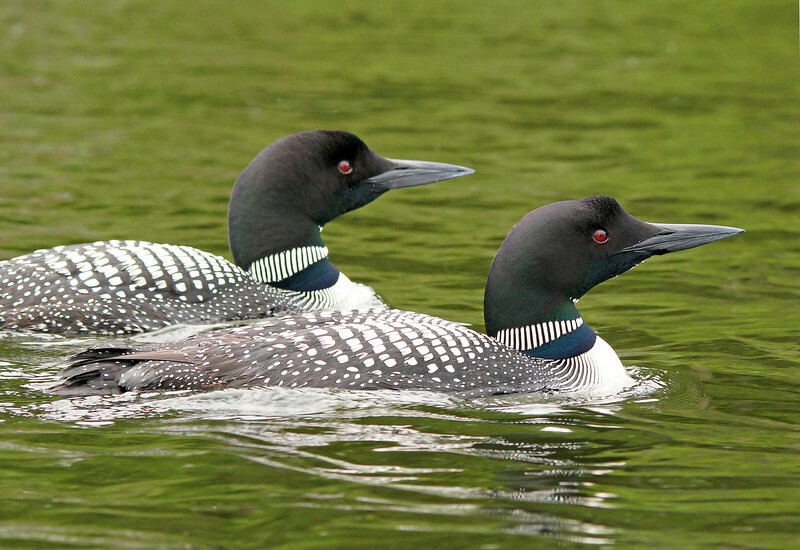 At one time there were four loons calling from all sides of the lake. The call of the loon is delightful wilderness music to lull a person to sleep. If you are wondering why our food pack is hanging in the tree in this photo that is how to keep it from the bears. On the way in we met a group of young men on the portage between Lake One and Lake Two. 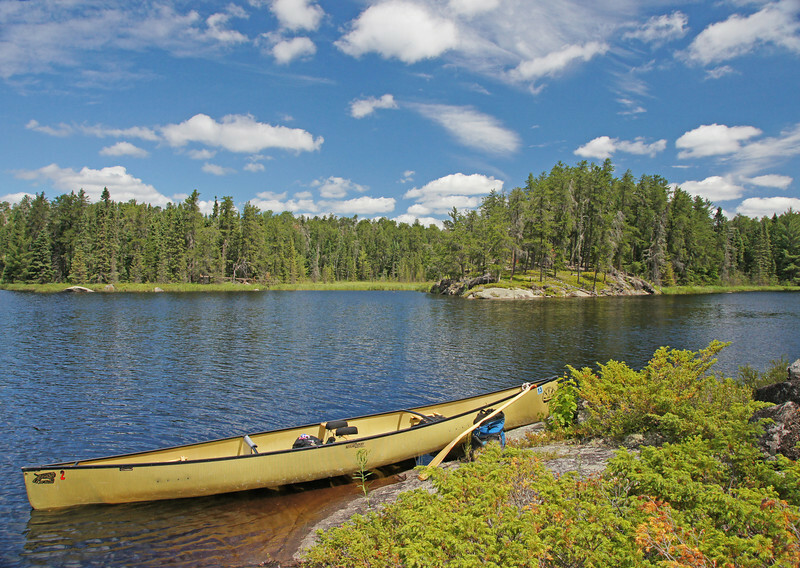 They had this beautiful handmade cedar strip canoe that had seen many of BWCAW lakes. This baby is growing fast. It only has a couple more months until it heads south. 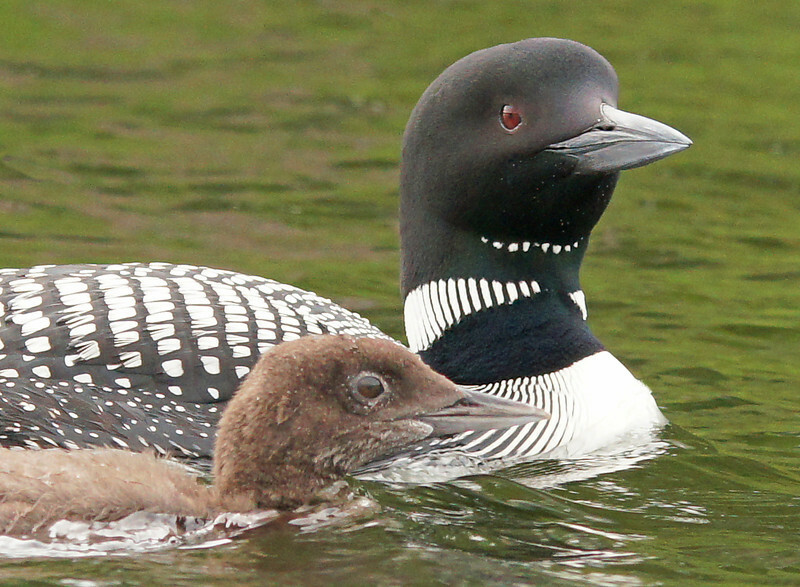 Sometimes the loons will swim right up to your canoe. We had lunch on a beautiful point on Rock Island Lake. 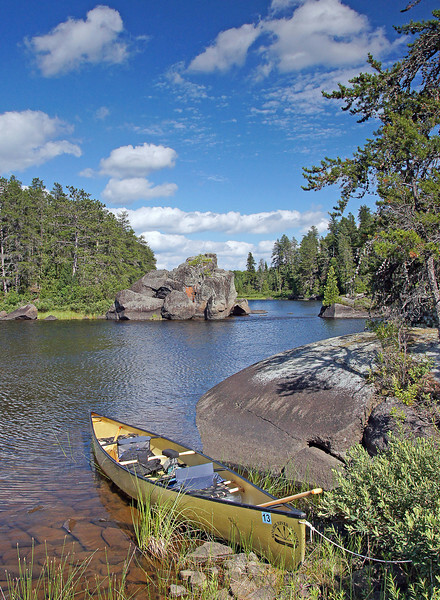 Last week I had the opportunity to visit the Boundary Waters Canoe Area Wilderness with a friend of mine, Paul Wannarka. 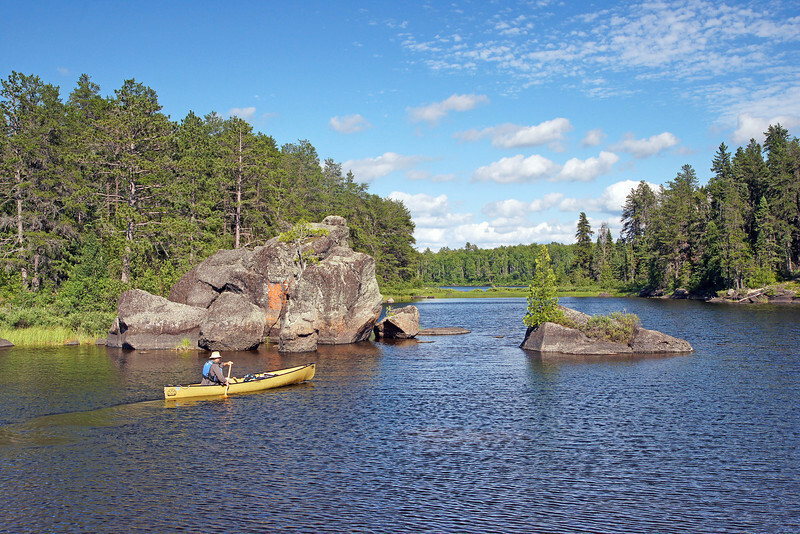 There are over 1,500 miles of connected water routes in the one million acre BWCAW. We chose one of the more popular routes through the chain of lakes from Lake One to Lake Three. Our destination was the rocky islands on the south end of Lake Three. We discovered the islands a couple of years ago and hoped to return to photograph them under better light conditions. 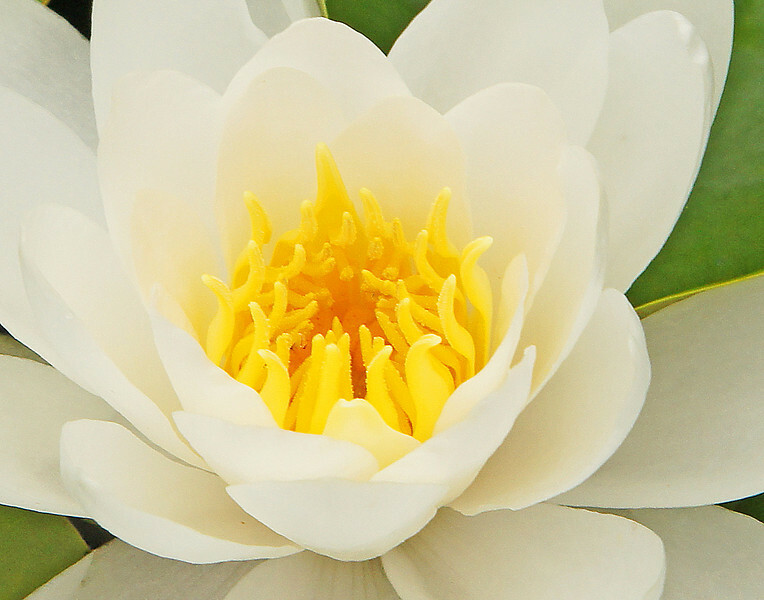 This springs weather conditions must have been favorable for the fragrant water lily as we found hundreds of them on the BWCAW lakes.